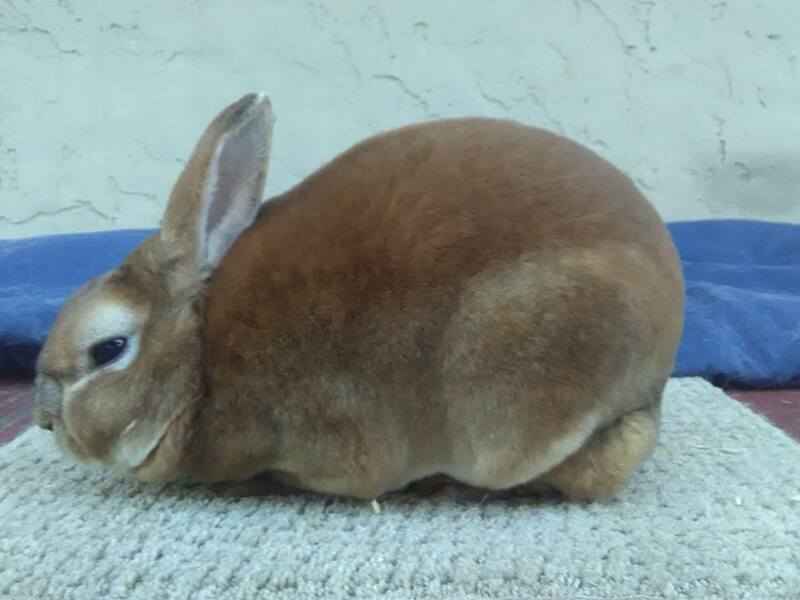 Meet Laura, a super sweet spunky English Lop doe (female) who needs to find her forever home. Laura is diabetic, so she drinks a lot of water, but requires a special diet. Her diet consists of plain rabbit pellets and timothy hay. Laura cannot have fruits and vegetables because of being diabetic. If you are interested in giving her a forever home, please contact us. Laura's adoption fee is $45.00 which includes a pedigree for her. Meet Maggie! She is a very energetic and curios bunny. She likes to explore the backyard when given the opportunity. Maggie is also an awesome mother and foster mother. 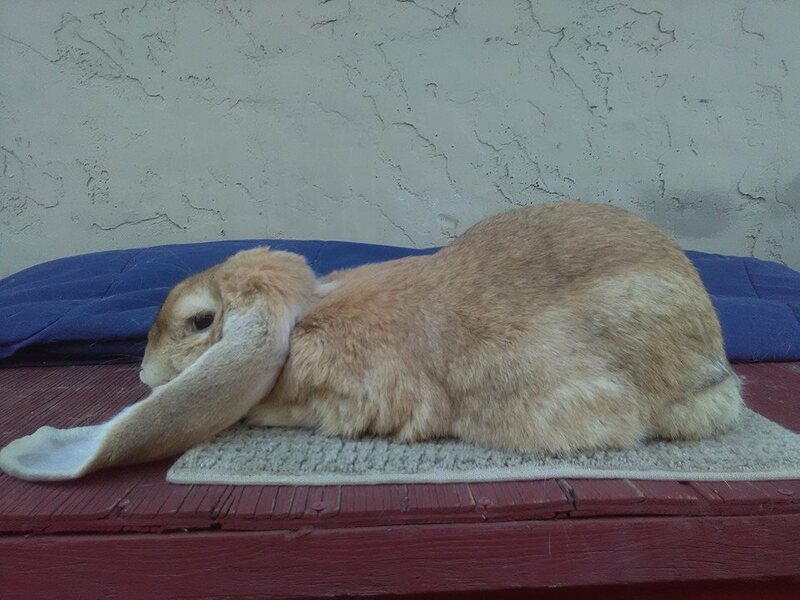 She is also a good show bunny and would be great for many purposes. If you have any questions about Maggie please contact us. Maggie's adoption fee is $30.00 which includes her partial pedigree. Meet Porkie! This doe really does live up to her name, she lives for food! 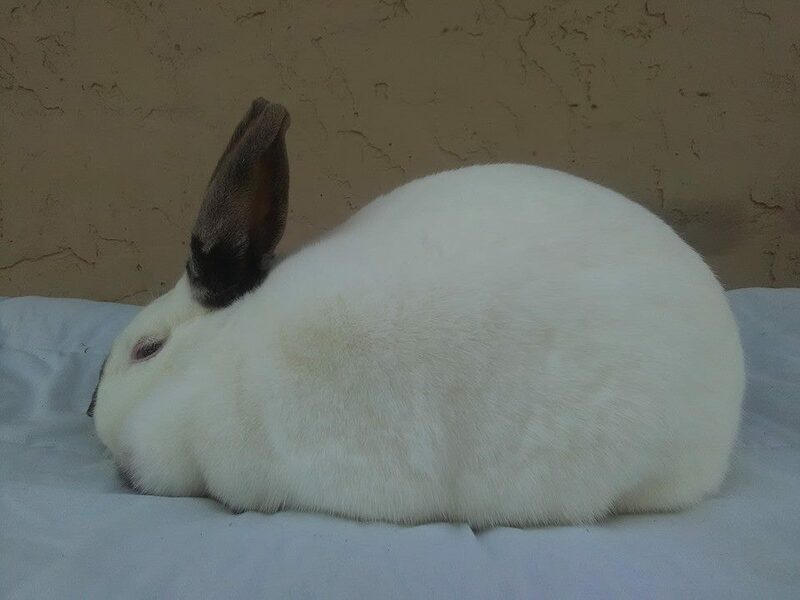 She use to be very heavy and chunky. 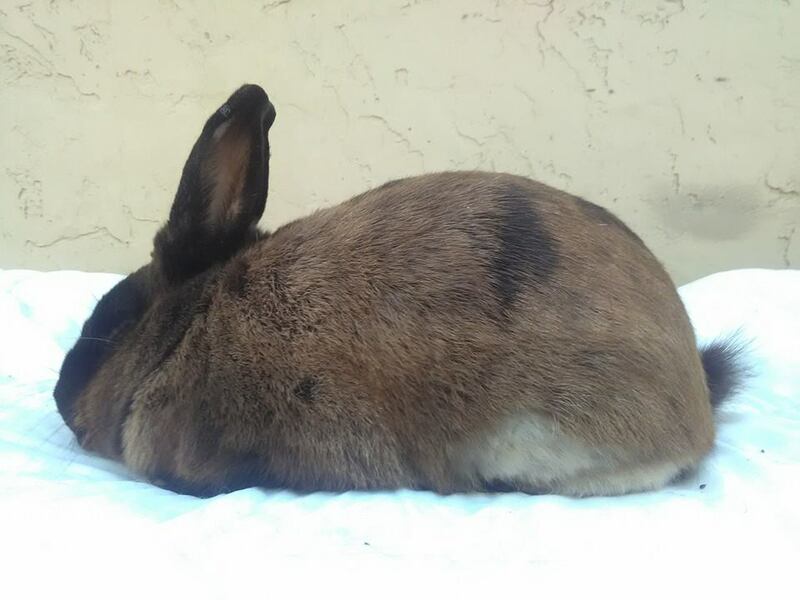 Since we adopted her from Barbie Brown who use to reside in Manteca, CA she has lost about five pounds of body fat. She is very lazy and likes to lay around with a cool breeze, and a little sunshine. She has very small litters so she is a good foster mom. If you are interested in Porkie, please contact us. Porkies adoption fee is $30.00 which includes her pedigree. Meet William! William is a little on the smaller side, but has big bones, and is very thick! He is actually very heavy and sturdy buck. He is a sweet heart and loves people, but can be stubborn! If you are interested in William please contact us. Williams adoption fee is $30.00 which includes his partial pedigree. Everyone meet Ruby! He has had a growth on his nose since birth, however it doesn't seem to affect him. 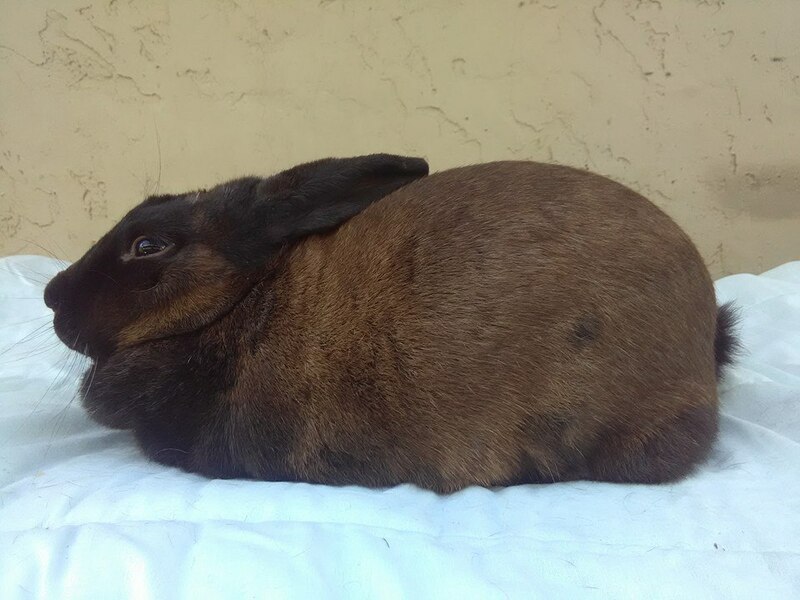 He is looking for a good home, Nice texture to his fur but lacks density for show quality Mini Rex. If you are interested in him please contact us. Ruby`s adoption fee is $25.00, but he does not have a full pedigree. 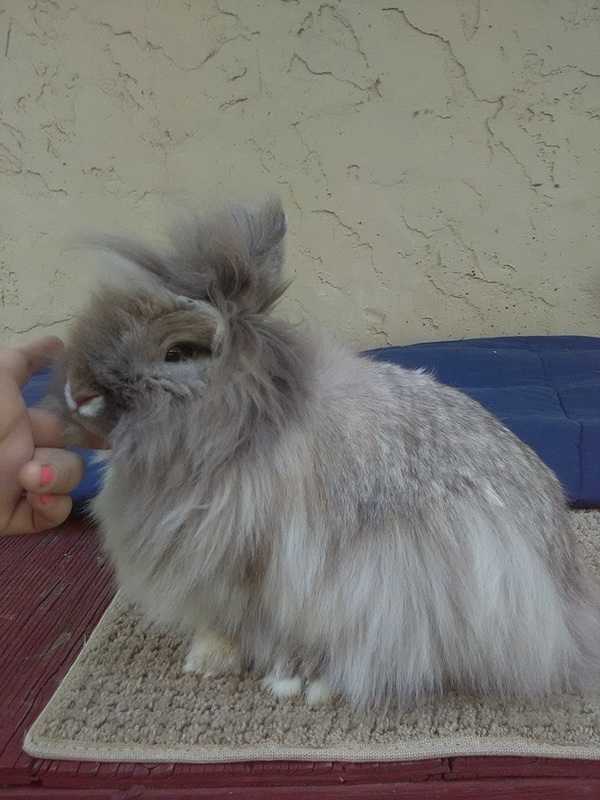 Meet Edith, a very fluffy fury bunny! She is full of energy and loves to explore, she is very nosy. She is also a very good momma, and has decent sized litters. If you are interested in Edith please contact us. Edith`s adoption fee is $30.00 which includes her full pedigree.